Over the year, the 2 by 1 seat configuration has been a solely advantage to Tahmeed Coach, a company that operates in Kenya and Tanzania. The introduction of Tahmeed's 2 by 1 was seen as a major improvement to the bus industry since the journey of seats arrangement has been long starting from the famous 3 by 2 buses which could accommodate up to 60 passengers a bus meant for 40's. Those days i can call them the black era days where bus companies owners could dictate whatever thing they wished. In this era, the customer is always the king that's a reason they are meant not to bargain which is literally funny. 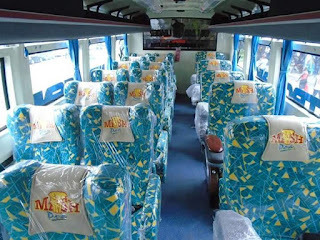 So Mash EA, the safety first and the leaders of leaders wants to do the same and have the same kind of seat configuration which is quiet okay to me but if asked for a suggestion i could say the leader of leaders should up her game and be unique in her own way. An elephant can never become a horse in any way i can say. Now going back to the 2 by 1 arrangement, its awesome in its own way in my onw term i can categorise such bus as a VVIP bus provided there is ample legroom, the entertainment rated 9/10 and the customer service is 10/10. Go Mash go, i fully support this initiative and looking forward to traveling with this bus soon if no soonest. For bookings and reservations with Mash EA visit any Mash office near you or download 'Bus Kenya' app from play store and make your booking at the comfort of your home. Mash EA, We Lead The Leaders..